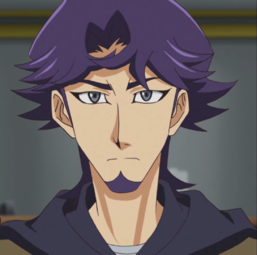 Kal Kolter[Notes 1], known as Shoichi Kusanagi (草（くさ）薙（なぎ） 翔（しょう）一（いち）, Kusanagi Shōichi) in the Japanese version, is a character appearing in the Yu-Gi-Oh! VRAINS anime. Operating out of a food truck called Café Nom, which doubles as his and Yusaku's base of operations, Kolter is an ally of Yusaku Fujiki in his fight against the Knights of Hanoi, with integral knowledge of the LINK VRAINS. In both versions, Kolter is usually known by his surname.